Modest fashion has been making waves worldwide, raking up likes via social media on everything from minimalist to frou-frou. 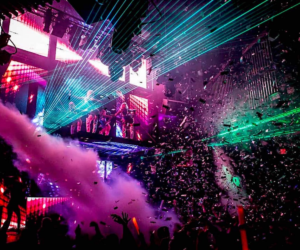 Even the big names in fashion have stepped up their game. Modest Fashion Week has also taken the world by storm, sprouting up in cities like Tokyo, London, and now Singapore. 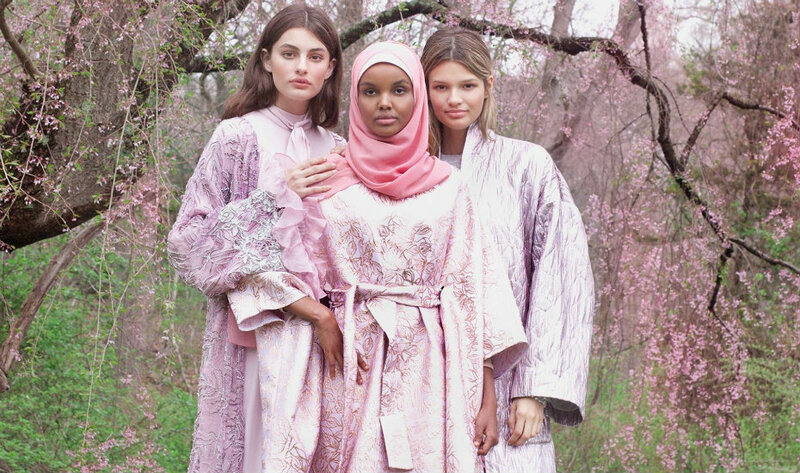 To say that modest fashion is exclusive for Muslim women would be rather incorrect as women from various religions and backgrounds have chosen to cover up for decades – newsflash: yes, it’s a choice. 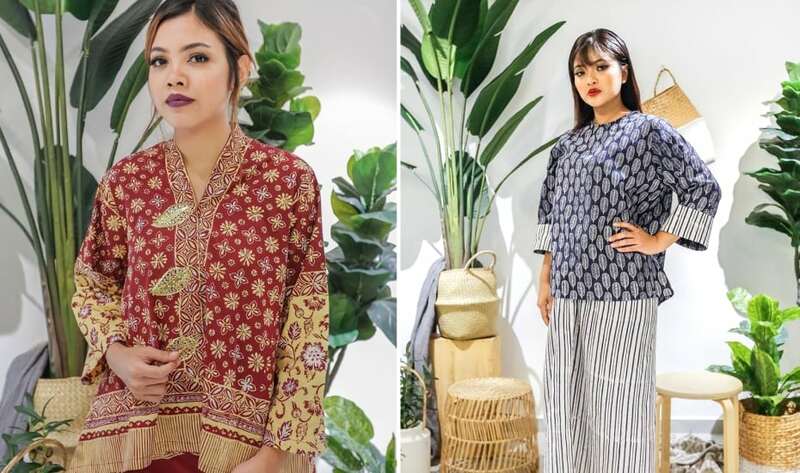 Expand your wardrobe with these effortless and comfy modest fashion pieces in bold and contemporary designs for Hari Raya and Eid – and throughout the year. A refuge from the predictable, Malaysian label Smitten by Pattern runs the gamut of vivid candy colours and fun motifs with their Cerita Raya collection. Joining hands with colour clashing lovers, Aneka, these apparels are a great way to stand out this Raya or at any event thanks to the longevity of the patterns. Our pick: The firecrackers top in light blue accompanied with The Frida’s garden scarf as a turban or hijab. 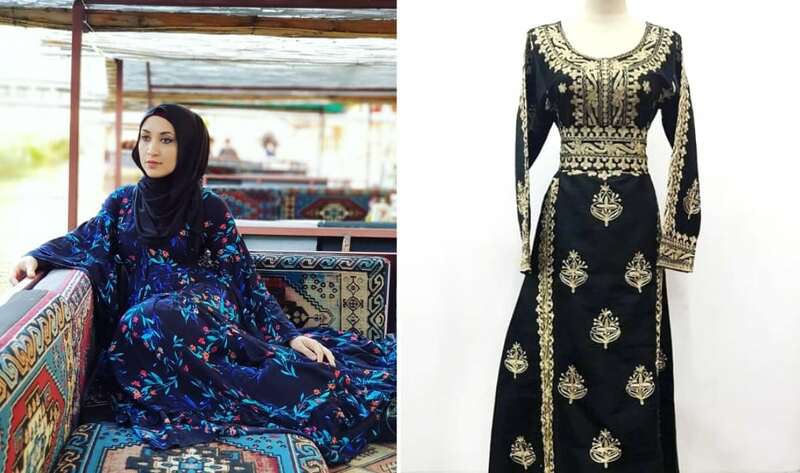 From beaded sequin kurung sets to brocade maxi skirts, embossed peplum tops to throngs of plain and printed scarves – this online marketplace seems to have everything you need for a stylish and trendsetting Raya celebration. Well, it is Singapore’s largest Muslimah online store after all. Our only gripe? There are just too many choices to select from. Step into style right here. It’s elegance personified at Alia, a leading modest fashion label that aims to explore fashion keeping simplicity, style and comfort with a touch of modesty in their pieces. Snap up traditional pieces with a modern edge – the floral lace dress and Amelia luxe series speaks wonders – amp it up with a splash of botanical prints or play mix-and-match with clashing patterns and styles. You don’t need a celebration like Hari Raya to shop at Happy Vibes. Created with a perfect likeness of modern meets modest, Happy Vibes carries swoon-worthy pieces for any day and that too at affordable prices. Of course, if you’re looking for Baju Kurung sets and shawls, they’ve got your back. But hurry, most pieces sell out fast. Got a feel for something Moroccan and Arabian-esque? Step into style right here. Redefining modest wear, one show-stopping number at a time, Lulu Alhahad’s designer-inspired themes, embroidery and imported fabrics are must-haves in every wardrobe. We’re still dreaming about that Achoura black jalabiya (traditional Egyptian garment), pictured above. Carefully selected and created with the best hand-painted batik, Frock & Flock infuses the most beautiful batik designs with your everyday style. Fawn over flowy skirts to comfy pants; batik tops and outerwear. The Eid 2018 collection hits all the right marks with a versatile range. Go all extra with floral batik prints or take it down a notch with hues of grey. No matter the choice, you’ll be keeping up your style credentials this Hari Raya. 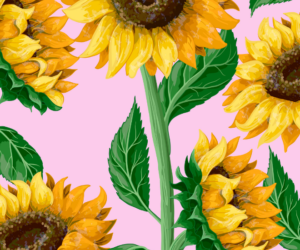 For your Malaysian fashion fix, FashionValet has got your back. 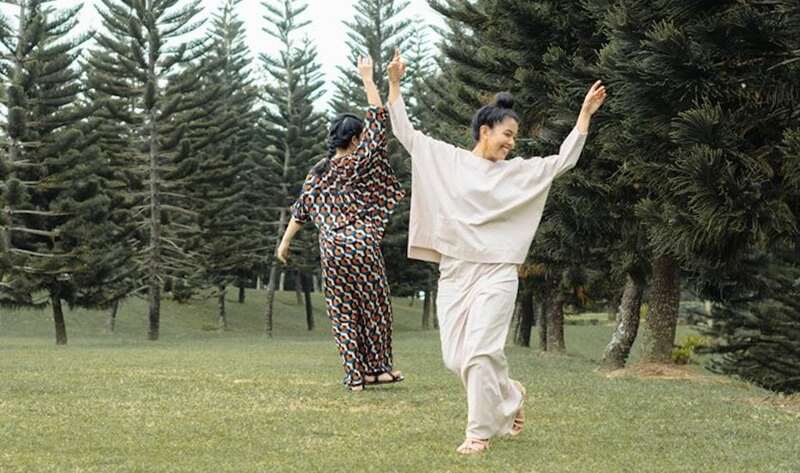 The multi-label online boutique carries designer modern modest wear – including gorgeous baju kurung and kebaya in contemporary silhouettes in time for Hari Raya – by Soonaru, FZK by Fitri Zainal, Poplook Premium, Larney, Aere, Adrianna Yariqa, amongst others. Besides traditional Malay dresses, FashionValet also stocks a variety of jubah and abaya in velvet, lace and satin for a roomy, and modest maxi dress alternative. Another one for the batik aficionados, Baju by Oniatta is driven by designer (and supermum!) Oniatta Effendi’s love for the Indonesian decorated fabric. 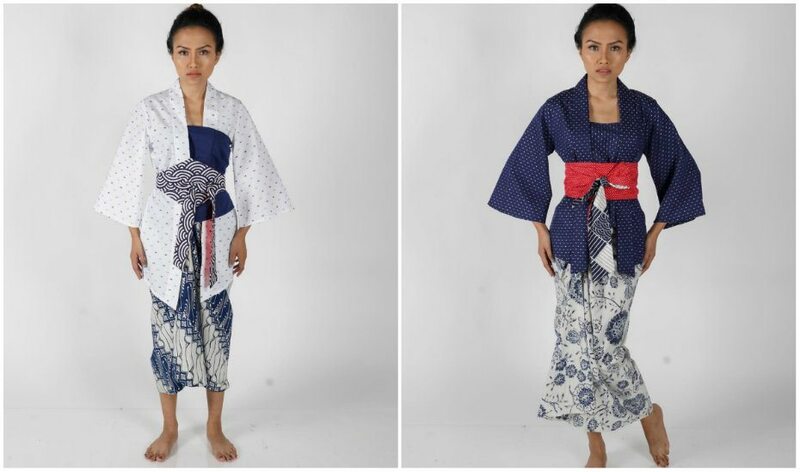 What sets the label apart from other batik brands is the contemporary elements she fuses into her versatile creations – you can wear it formal with a kebaya top or go casual and match it with a T-shirt! For authenticity, the fabrics are sourced from different parts of Indonesia, and no two pieces are the same. If you are intrigued by blue-coloured batik, check out its exclusive Raya range of Indigo Batik Tulis which includes traditional Javanese-inspired kebaya. 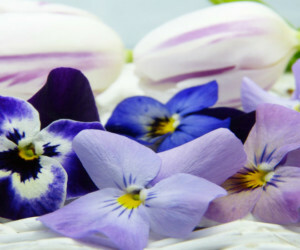 Are you into pastels? If you answer ‘yes’, check out local modest wear designer Adrianna Yariqa. 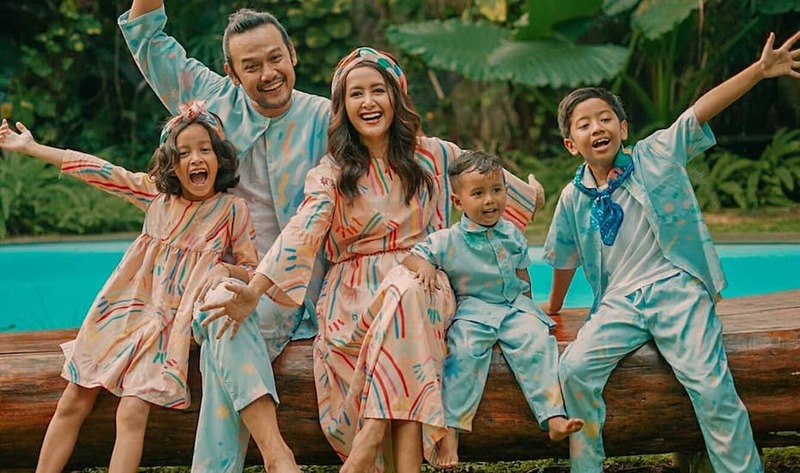 Her collection of brightly-coloured frocks include A-line baju kurung for Hari Raya, dress tops for the office and batik sweatshirts for cooler weather. 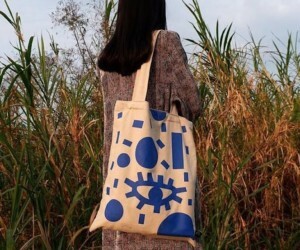 Fit for minimalists, her designs are simple and versatile. You can also shop for the whole fam while you browse through her online catalogue – there are matching styles for men and kids! 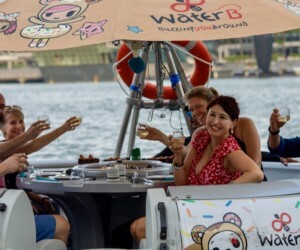 The brainchild of Dahlia Mohd and Natasha Sulaiman, this North Bridge Road boutique houses a specially curated selection of designs by local and regional designers such as Ana Abu, Nellisa Hilman, Rico Rinaldi, Zakwan Anwar, Tsyahmi and more. Expect everyday gorgeous modest alternatives with affordable price tags. 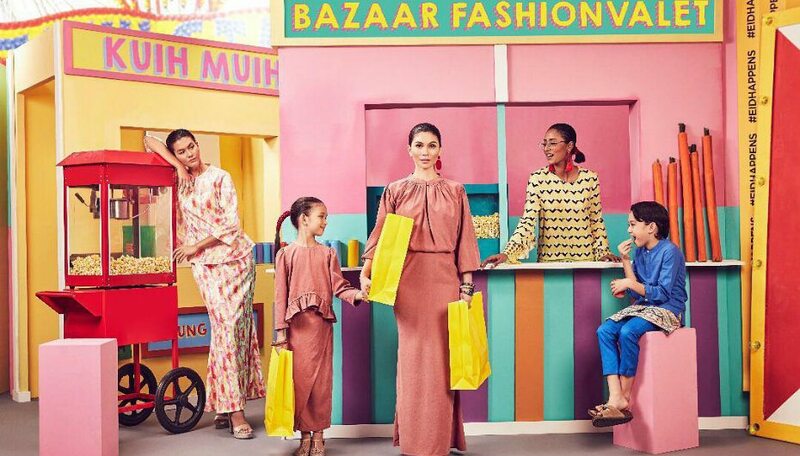 Available for both men and women, shop everything from button-down shirts, maxi dresses with long sleeves and high necklines, as well as baju kurung and kebaya by both renowned labels and emerging designers for its Raya collection. Surprise, surprise – this online destination for affordable threads also carries a modest wear collection for its Raya release. With over 70 pieces, the collection is inspired by nature and champions covered-up aesthetics that are bang on trend. 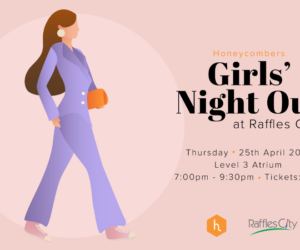 Key pieces include ruffled culottes, pleated wide-leg satin trousers, bell-sleeved blouses and kimono wrap dresses in lightweight, earthy-toned fabrics that are fab wardrobe staples great for all occasions, and not just Hari Raya. 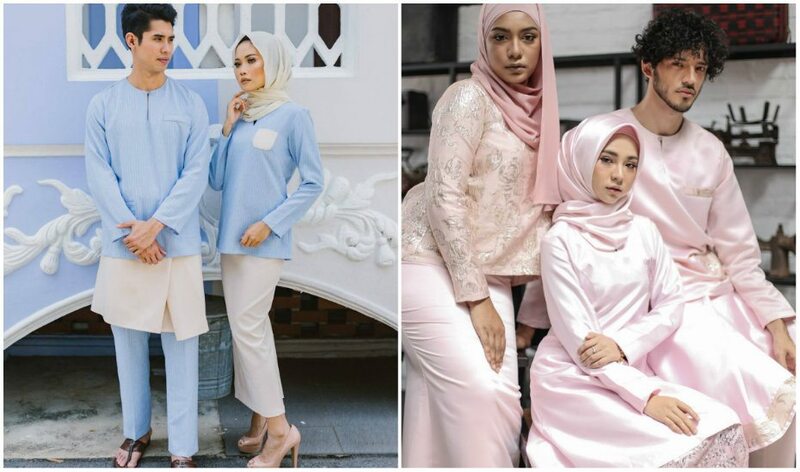 Malaysian e-commerce brand Poplook is another key player when it comes to both modestwear and raya fashion. Over eight drops have been released so far, each topping the other with showstopping ruffled dresses, lacy kurungs, gartered sleeve end details and printed two-piece suits. Want to match your hijab to your threads? The store stocks a hefty range of scarves in all sorts of fabrics including jersey and chiffon, and styles, like instant, square and butterfly. “Minimal but not typical” – we couldn’t agree more! For modest wear with a playful twist, Whimsigirl has ’em all. We see why this Malaysian label is a favourite amongst comfort creatures; it offers breathable two-piece outfits with unique silhouettes such as the tapered 3/4 sleeves or the long flared bell-sleeves for women and children. 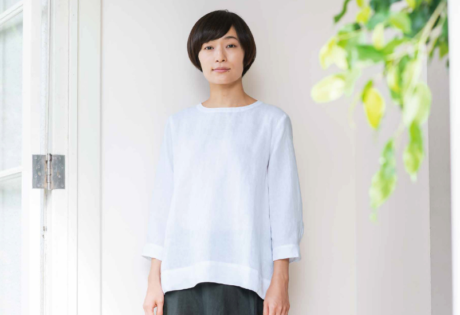 Each piece is ethically created using natural fiber fabrics like linen and cotton to ensure that they are comfortable for daily wear. In typical Whimsigirl fashion, the newly released Eid collection, features single-toned baju kurung in modern silhouettes. Take the Alia Set in brown checks. Made from cotton and linen, the checkered skirt suit features pockets, a highwaisted skirt and a modern blouse with a round neckline. 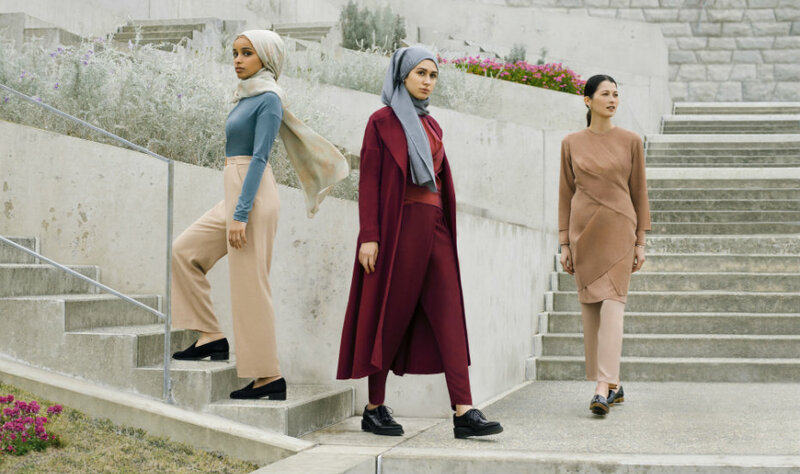 Whether you’re looking for everyday, casual wear, or simple contemporary pieces for Hari Raya, you can’t go wrong with Uniqlo’s modest fashion collab with British-Japanese designer Hana Tajima. Inspired by her Japanese roots and English upbringing, her collaborated collection comprises of simple yet elegant skirts, dresses, tunics, hijabs, headbands and a newly-introduced belted long coat, with fabric drapes and tucks included to enhance the design. 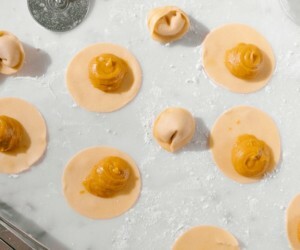 Modestyle is more than just an e-commerce retailer, the multi-label store also manages online media and digital marketing for the modest fashion industry. 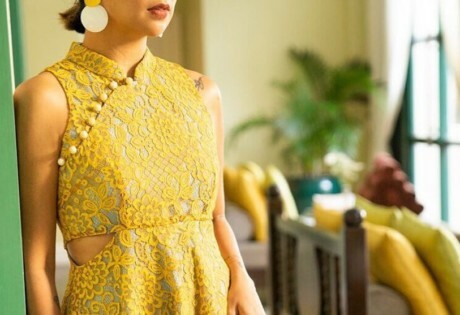 Always up for new ideas, Modestyle collaborates with other fab brands to bring you stylish modest wear pieces with classic feminine silhouettes decorated in lace, sequins, pleats and more. Modest dressing has never been more chic! The Modist is the first luxury fashion e-tailer that caters to modest fashion, carrying high-end designer brands such as Alberta Ferretti and Mary Katrantzou. Not only for Muslim women, this online store provides modest fashion for women of all faiths, cultures and style preferences. Shop the Ramadan edit for a luxe Hari Raya. From various elegant, sophisticated and fashionable pieces to choose from, including maxi dresses, crepe capes, georgette gowns, and even velvet dress and robe sets, you’ll be looking très chic is no time! Created with the modern Muslimah in mind, Sufyaa has a collection of fashion pieces that are simple yet stylish without being boring. Sufyaa’s bespoke collection includes signature songket, beautiful batik and lovely lace, with a made-to-measure service available for customers. Shop anything from ethereal capes to traditional dresses, as well as hijabs in a variety of styles from instants to classics, and those in solid colours and seasonal prints.